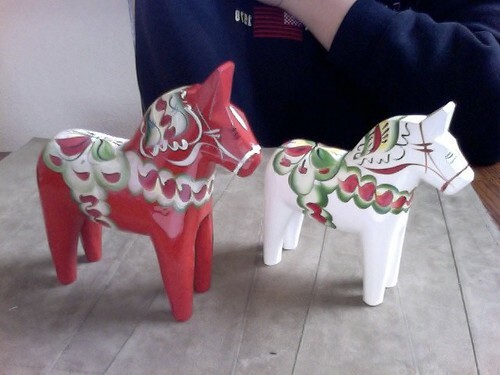 I finally got my Dala Horse!!! This year has been good to me for the most part. My family is still healthy and we are happy. I've faced some personal challenges but I'm hopeful for 2011. I'm so grateful for what I have, including my dear friends and a good job, and I count my blessings every day. Merry Christmas and lots of love from me to you! Merry Christmas! Best wishes for 2011. You are such a weirdo but I lubs you Diame! I've been tuning into gimmeskinny.blogspot.com staying lurker for a little while now. I made the decision that I might as well get involved and communicate with the other folks here. I'm expecting to hook up with lots of intriguing men and women and learn some superb stuff. Hopefully this did not end up in an inappropriate section. I pray you'll forgive me if "http://www.sparkpeople.com/myspark/team_messageboard_thread.asp?board=0x2189x9027527" is unsuitable.